JPMorgan Chase (JPM), the largest U.S. bank by assets, reported record revenue and profit for the first quarter on Friday. For the first quarter, the bank posted adjusted earnings per share of $2.65, versus analysts’ forecasts of $2.35. Adjusted revenue for the quarter came in at $29.9 billion, outpacing estimates of $28.36 billion. “In the first quarter of 2019, we had record revenue and net income, strong performance across each of our major businesses and a more constructive environment. 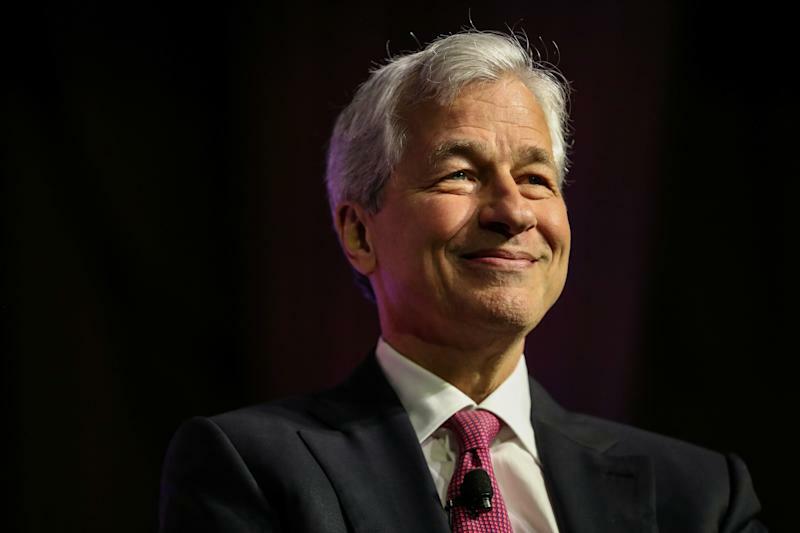 Even amid some global geopolitical uncertainty, the U.S. economy continues to grow, employment and wages are going up, inflation is moderate, financial markets are healthy and consumer and business confidence remains strong,” CEO Jamie Dimon said in a statement. Dimon also remained upbeat on the U.S. consumer, noting that the bank continues to grow its retail bank branch footprint. Revenue from fixed trading came in at $3.7 billion, down 8% from the same period a year ago. The bank pointed to lower revenue in currencies and emerging markets and rates. Meanwhile, equity markets revenue came in at $1.7 billion, down 13% from the year prior. That drop in trading revenue "reflected lower client activity, predominantly in derivatives." Elsewhere, investment banking revenue was up 10% from a year ago to $1.7 billion, driven by strength in debt underwriting. Last quarter, JPMorgan reported a rare miss of analysts expectations. During that quarter, JPMorgan was undermined by a drop in fixed income trading and volatile markets. JPMorgan’s stock, traded on the New York Stock Exchange, rose in the pre-market. Other big bank stocks were also trading higher.